It's your lunch break. You decide to head to the park- it's a beautiful day. 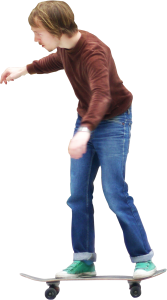 As you stroll around, mindlessly munching on a bag of chips, a group of amateur skateboarders tears through the area. They're everywhere, on the sidewalk, in the grass (you're unsure how), on the edge of railings attempting jumps and more. You keep munching on your chips as one of the skaters pulls an impossible trick- a backflip off a large rock. He screams, you scream, and he soars through the air headed straight for you at an incredible speed. And that's the last thing you see because it's lights out for you! You died. This is just an illustration but serves as an accurate portrayal of what happens when families aren’t prepared for the unexpected. Thinking about death is not morbid– it’s reality. What lifestyle would you want your spouse and kids to continue living? Would you want your spouse to end up going into debt? What if there's nothing left for your teenage kids? A life insurance policy is not as expensive as you might think, don’t let the excuse that you don’t make enough to stop you. Life insurance is for your family's future and well-being, making it a very important investment. Don’t make them struggle to get by, we see this all too often in our business. For example, we see a lot of “GoFundMe” accounts made to raise money for a family in financial need. 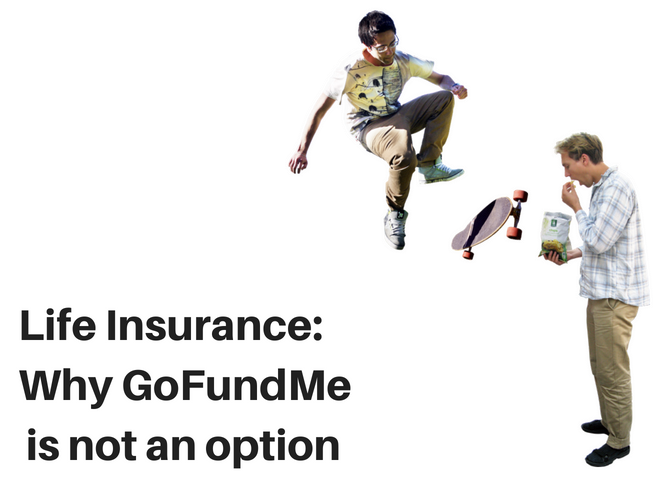 While GoFundMe is great for many reasons, it should never serve as a form of life insurance. You shouldn’t have to ask people for financial aid after an emergency. It’s not the best way to handle problems, and life insurance will prevent this inefficient yet common backup plan from happening, and provide you with even more coverage. Being an independent financial planner, I understand how loss can affect an entire financial plan for a family. It’s my job to prevent this from happening by working with you to formulate a plan that would best serve your unique financial needs. At Evans Wealth Planning, we are independent which means we can shop from thousands of plans in order to pick the one that’s appropriate for your financial situation. Talk to us today about steps you should take to secure your family's future– we’re on your team! Click here to schedule a complimentary consultation– we'd love to chat!